Handcrafted sterling silver .925 14 gauge wire tear hammered shape with a 6mm semi precious bead in center. Available in different chain lengths. 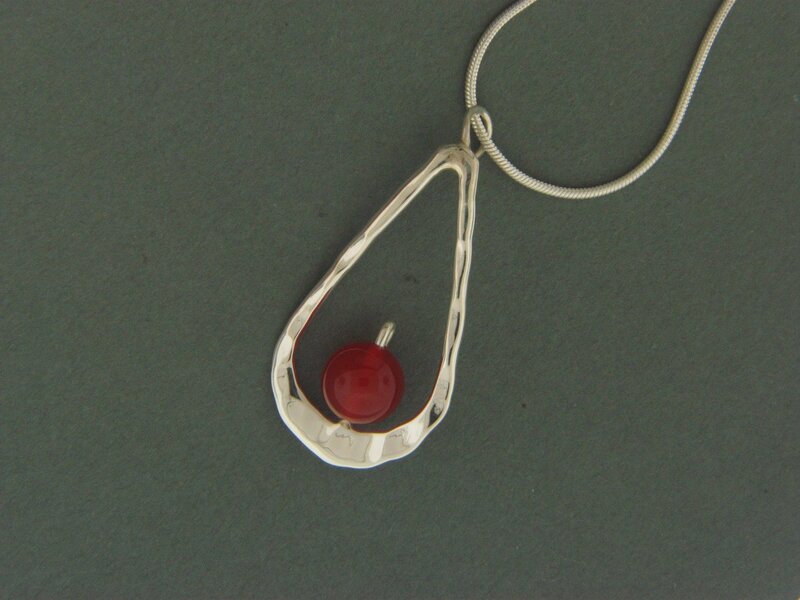 Shown with a carnelian bead.